I may have gone a bit wild and spent a fortune on Makeup Geek. Who am I kidding? There's no 'may' about it. All things rational when out the window the second I started Googling swatches. Anyway, since I did buy a lot, I thought why not do a haul and a mini review. In The Spotlight (foiled)- The foiled eyeshadows are so intense and pigmented. This shade is a pinky coral that would look stunning all over the lid. Starry Eyed (foiled)- Now this is the perfect inner corner highlight. It's an intense champagne beige that really brightens up the eyes. Showtime (foiled)- This is a 'wow' shade. It's a warm dark rosy brown with a pink shimmer running through it. It's not chunky in the slightest and would look great on the outer corners of the eyes. Bada Bing (shimmer)- This is a dark brown with flecks of gold. I think it would be the perfect shade for a smokey eye and looks great for this time of year. Pretentious (shimmer)- I love this eyeshadow. It's a warm metallic bronze with a gold undertone. However, I think it has a bit of olive in it. It's very subtle, but on me, it has an olive green undertone which is gorgeous. It's a great everyday eyeshadow if you want something a bit different. Roulette (shimmer)- This is one of my favourite shades as it's a very warm toned rosy copper. It has hints of orange but also hints of rose. The formula is Makeup Geek at its finest. Smooth and pigmented. Country Girl (shimmer)- I'm a little disappointed by this eyeshadow as the texture is quite dry and you don't get a lot of pay off. The shade is also a little underwhelming but it's still nice. It's a shimmery pinky brown that has rose tones. I will say that it's a great one to go for if you want to try a pink eyeshadow whilst still remaining in the neutral zone. Anarchy (shimmer)- A smooth cranberry with a fine pink shimmer. The formula of this is so creamy and smooth. 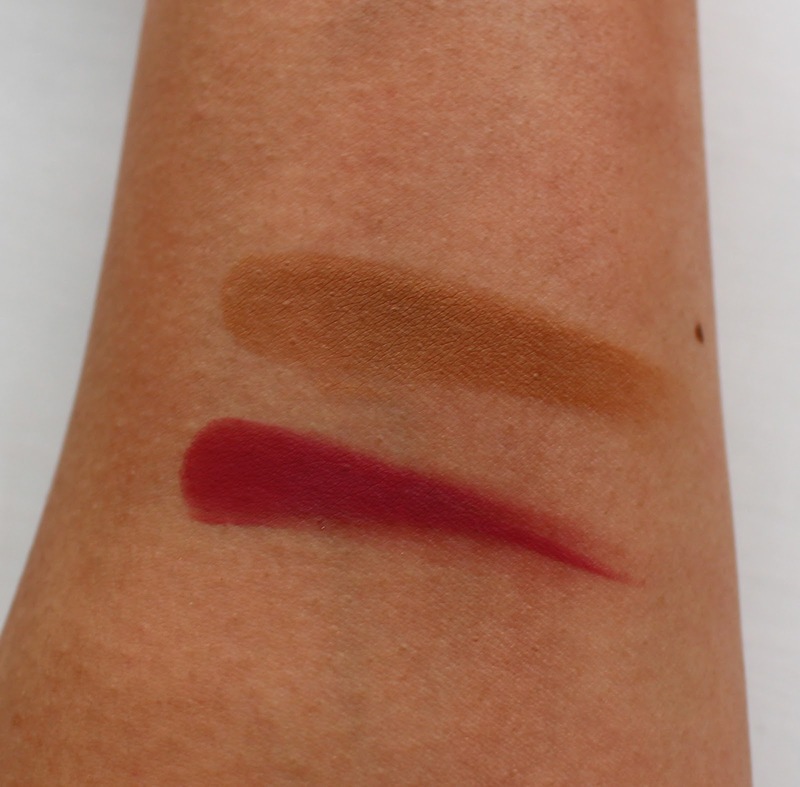 It's easy to blend and although it is a cranberry, it's very easy to wear and is surprisingly subtle. A great colour for Autumn. Mango Tango (satin)- I think this is a rather brave shade. It's a vibrant peachy coral with flecks of gold. It's not quite a shimmer, but also not matte. It's more of a satin finish. I'm still figuring out how to wear this but come Summer, I think I'll be wearing it non stop. Wild West (matte)- I have no idea how to describe this. It's a matte mid toned brown that slightly warm, slightly cool and very smooth. It's quite a muted shade that has a subtle rosy undertone. Cherry Cola (matte)- I'd call this a red toned dark brown. It's slightly warm, but also has cooler undertones making it a great suit everyone shade. I've not tried any cheek products from Makeup Geek before so instead of buying everything, I restrained myself and picked up two. Complicated (contour)- This is my perfect contour colour. It's a mid toned matte brown that's ashy without making the skin look flat. It's very creamy and easy to blend. It looks incredibly natural too. Desire (blush)- Desire is a deep mauvey pink that's right up my alley. It's very pigmented so a light hand with this is a must. It's nice and creamy and would suit so many skin tones. I'm definitely running out of space in my Z Palettes for all of these shades! So far, I'm really impressed with all of the colours I picked up. As I bought so many, it's going to be a fun few months of trying them out properly! 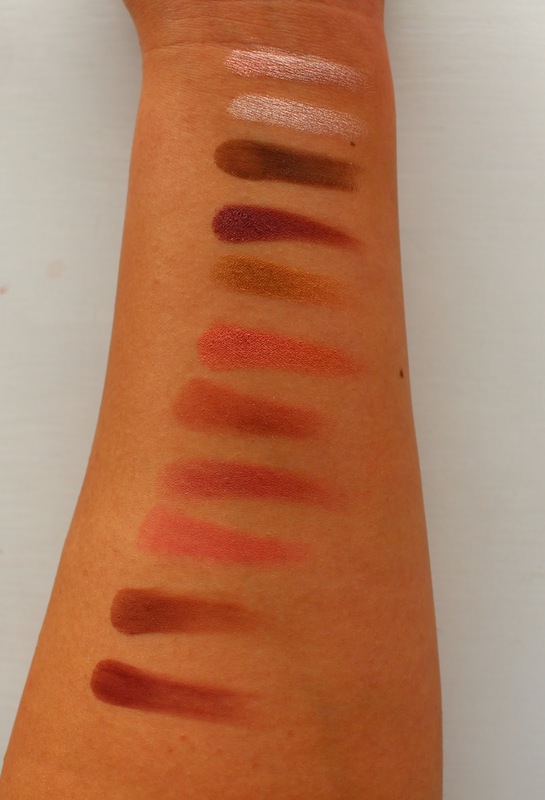 What's your favourite Makeup Geek shade? They all look so good. I really want to make a palette up but didn't know where to start. I've died a few shades now to my list. There are so many shades available, it can be very overwhelming! Glad this post helped! I absolutely love the shadows, Mango tango is one of my favourite for an orangey smokey eye. I need to try the blushes Desire looks absolutely beautiful. Mango Tango is so beautiful. I think it's quite a unique colour too! I definitely needs to invest in some Makeup Geek Shadows! Best investment I've made! Such good quality! They're so worth it! I'd definitely recommend getting some! Ah I've never tried any of their products before, but I've heard so many good reviews, I really want to try them out! 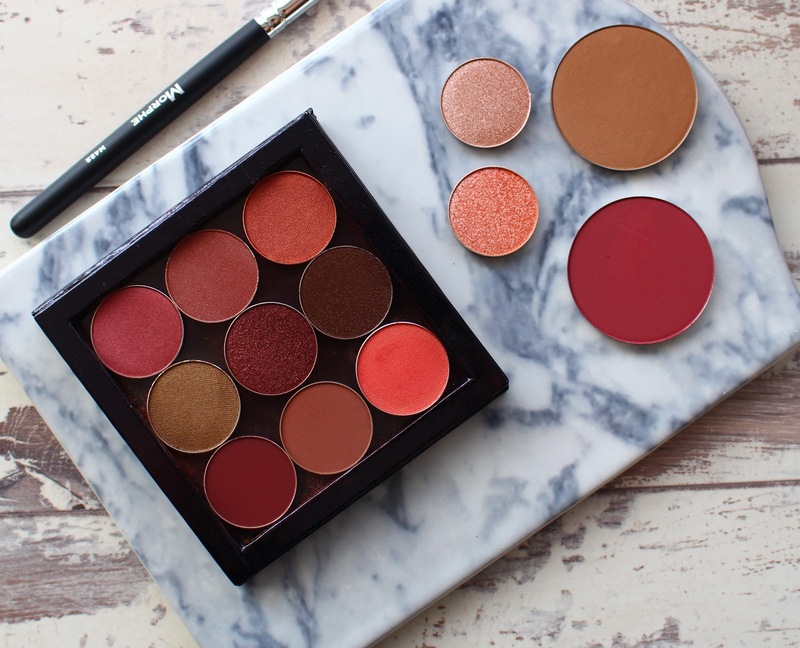 The eyeshadows look absolutely gorgeous, the shades are perfect for this season!